Setting up Alibaba Cloud is very similar to AWS. However you need to do a couple of extra steps. 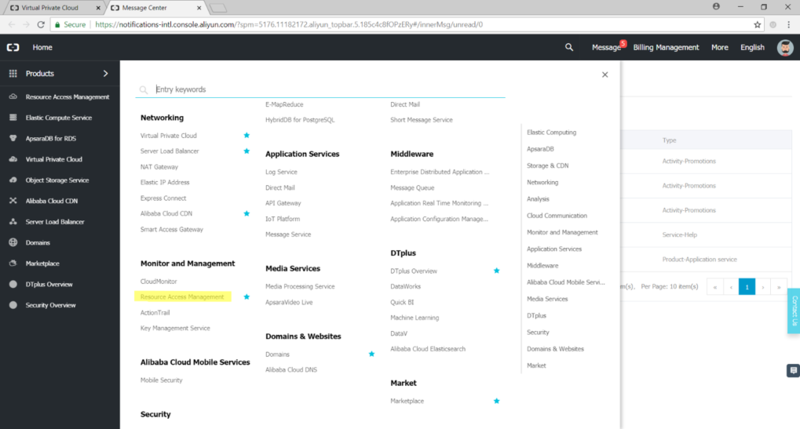 Every service on Alibaba Cloud requires you to authorize its use. I think this is to make it clear that each service could result in costs being incurred. I actually like this feature of AliCloud as it makes it very clear to the administrator what services are activated on the account and what will incur charges. I think this might be a security control required given the markets that Alibaba Cloud is targeting to hedge against fraud / identity theft. However, it could be due to the regulatory situation in China. Line, you read here, line. One of the really great things about AliCloud is it has a lot of coverage in regions not well supported by Azure / AWS today. Namely Asia, Africa and the middle east. Start by going to the “Elastic Compute Service” then “Images” then “Public Images”. Make sure you have the correct region selected (just like AWS) in the top left of the console. This will get you off to the races as this point. Much of the console is similar to AWS in structure and organization. Some of the names have changes to protect the innocent. I will do a follow up blog post specifically on this topic to help you translate between the two clouds.